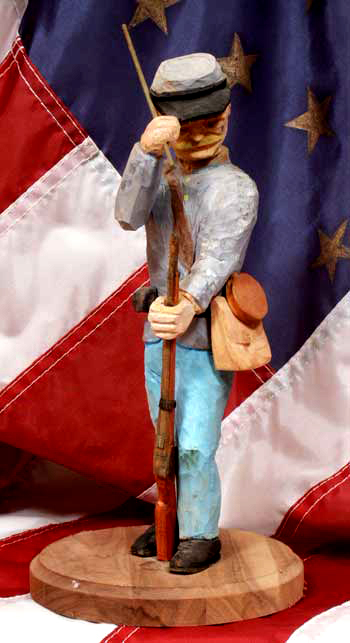 In addition to furniture carving and walking sticks, Stanley Saperstein has taken up the hobby of carving figures of various sorts to keep him entertained during his retirement. 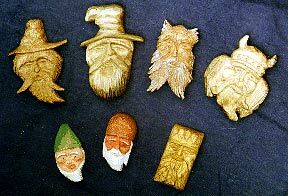 Years of whittling have produced an army of Gnomes, Santa's and other characters. 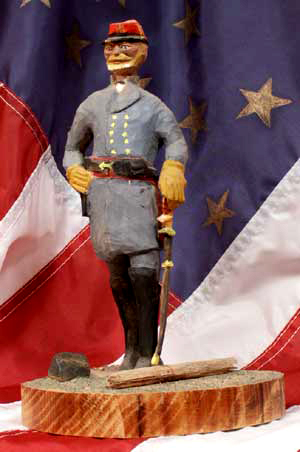 Figures and faces range in price from as low as $25 to upwards of several thousand, depending on the size, material, and detail. 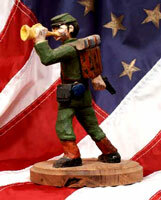 Most figures and faces are carved in poplar or basswood, both accepting to detail and easy to work. 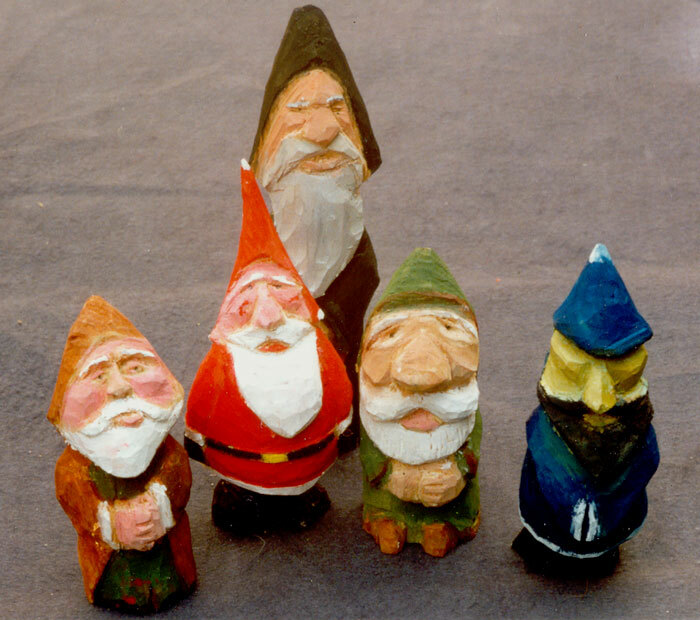 Gnomes are long slender figures, with distinctive beards and folded hands. Long flowing robes clothes the Gnomes who often wear long pointy hats. Each gnome is hand painted and signed. If you have a Santa collector in the family, make sure you get your order in early! Building an army of gnomes requires personal training and each one takes time to evolve his personality. The formation of a gnome army begins with a single purchase, the addiction takes on a life of its own from there! 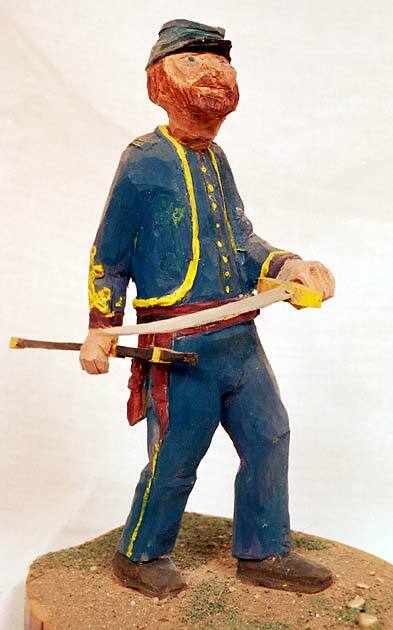 In addition to full figures, facials are popular for Christmas tree ornaments and to adorn toy chests, doors, or other objects. Limited only by your imagination, the variety of faces is endless. Once and a while a character will catch Stanley's eye. 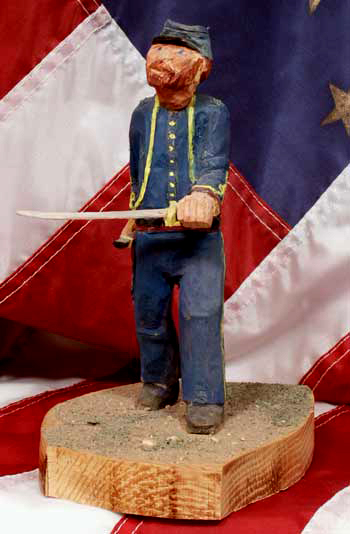 He's carved many soldiers and classic old men walking hunched over their cane. If you have something in mind, feel free to share your ideas. 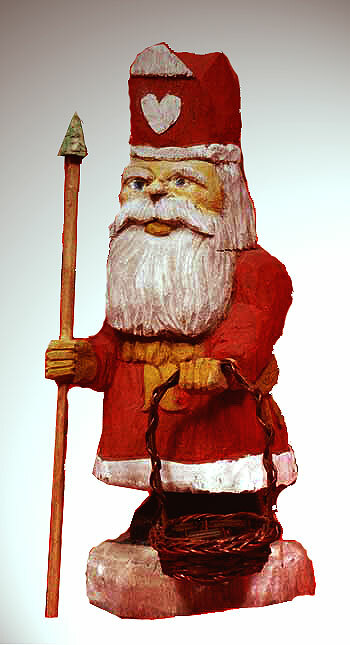 Towards the fall, he introduces a line of Santa figures, which have become extremely popular for Christmas gifts. Some people hang the 3-5inch Santa's on their trees, while larger ones, 8-12 inches in height, stand on tables & shelves to overlook the holiday meals. Santa's come in lots of different girths as well, some are modern fat jolly figures, while others lean towards the slender Gnome likeness. 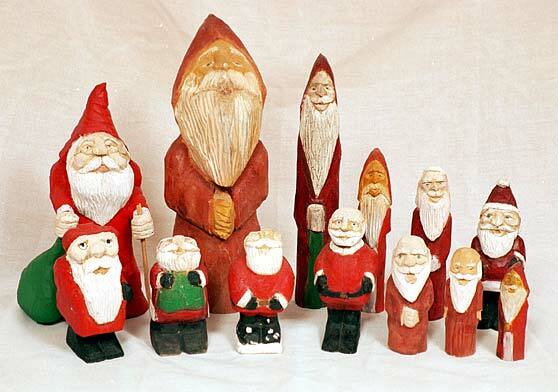 He has several repeat customers that request a unique Santa every year for their ever-growing collections.